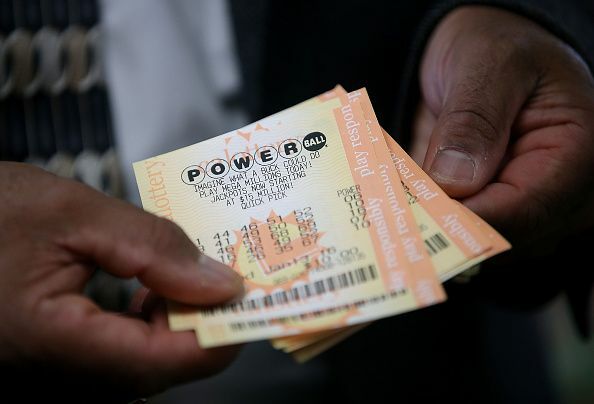 Powerball Results, Numbers for 2/9/19: Did Anyone Win The $224 Million Jackpot on Saturday (Last) Night? The latest Powerball drawing on Saturday night was worth $224 million with a cash option of $136.4 million. Was anyone lucky enough to hit the winning jackpot? The lottery drawing was held on Saturday night at 11 p.m. EST. The winning numbers selected for the jackpot were 01-02-03-07-39, Powerball 25, and Power Play 3X, according to the Powerball website. Although no one won the jackpot, there was one person from Iowa who matched five of the winning numbers and the Power Play to win two million dollars. There were also three winners from Florida, Illinois, and Texas that matched five of the selected numbers and won one million dollars, according to the lottery website. The next Powerball drawing will be held on Wednesday night at 11 p.m. EST. The jackpot is now worth $242 million with a cash option of $148.1 million, the Powerball website states. Powerball drawings are held twice a week on Wednesday and Saturday nights, according to the lottery website. The jackpot starts at $40 million and then continues to grow until someone win the jackpot, according to the lottery website. A woman from South Carolina recently claimed a $2 million ticket after she purchased the winning Powerball ticket on her birthday. Margo Konopacke, a retired nurse, told lottery officials that she decided to purchase a ticket when she was buying groceries at the Publix in Hendersonville, North Carolina. She told lottery officials she had no plans of buying a ticket, but because her birthday was coming up, she decided to treat herself. Konopacke told lottery officials she went back inside the grocery store and purchased a $3 Powerball ticket for Saturday’s drawing. She and her husband checked the numbers for the ticket the following morning to find out that she won. She claimed the prize on Tuesday afternoon, which happened to be the day of her birthday, at the lottery headquarters in Raleigh, North Carolina. Konopacke walked away with over $1.4 million after the required state and federal tax withholdings. She told lottery officials she will save the money for her and her husband’s retirement but plans to use the money to celebrate her birthday.